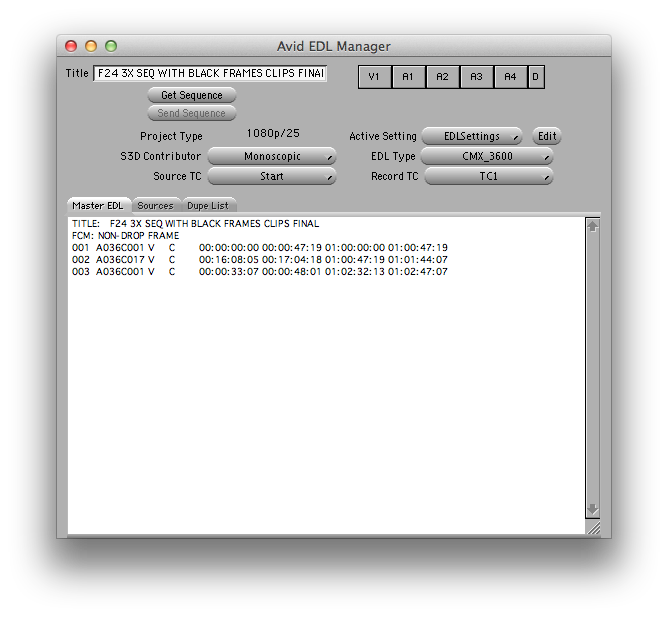 EDL files usually represent a timeline from editing systems such as Avid Media Composer and thus contain an ordered list of clips represented by timecode data and optional reel and clip information. 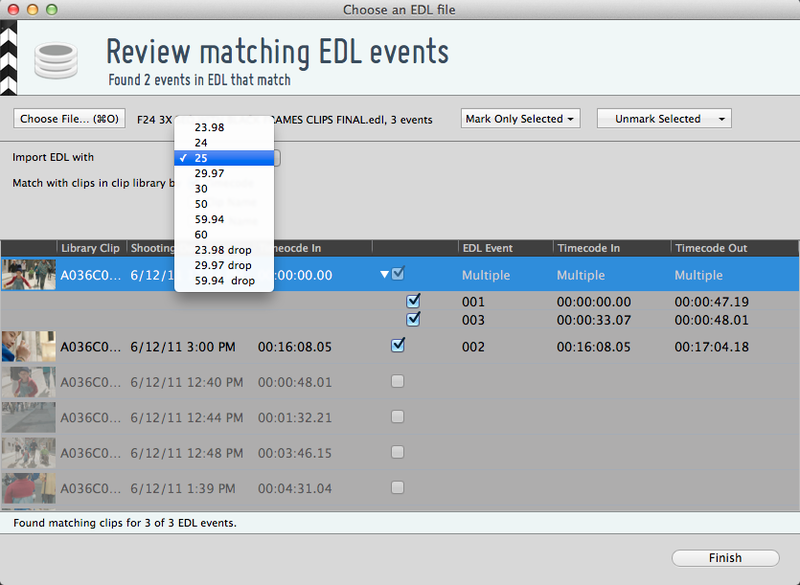 You can use an EDL in the CMX 3600 standard to consolidate clips from Silverstack’s Library in a new Bin. 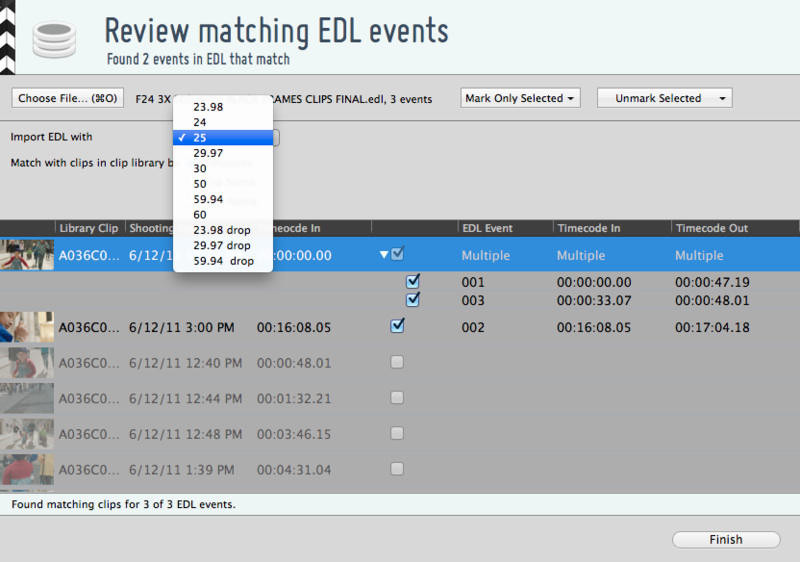 From there you can for example copy all required clips from the EDL to a separate hard drive. As an example we assume that the editor used five clips which we now need to transfer to a VFX facility. Instead of shipping several hard drives with all the source footage, or manually searching them in huge folder structures, you can automatically collect them by using the EDL import feature in Silverstack. Silverstack matches the timecode from the EDL with the source timecode of clips in the Library and creates a new Bin with the matched clips. From there it is easy to backup the clips to a single destination via the backup function. We will describe briefly a typical workflow with Avid Media Composer 6.5. Open up Silverstack and choose the corresponding project. Silverstack will match the clips and add them to a new Bin. This feature is available in Silverstack 3.1 and newer.